Show Me The Sales Page Now! 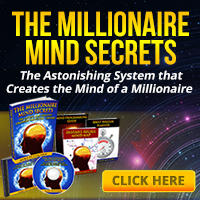 The Millionaire Mind Secrets success training system is available at 100% commission. The OTOs are also at 100%, and you can even receive a tasty recurring income when your subscribers join our monthly coaching program! Step 2: Then come back here and click the link further down this page to get approved for this affiliate program. Step 3: Start Promoting and Make Your Commissions! 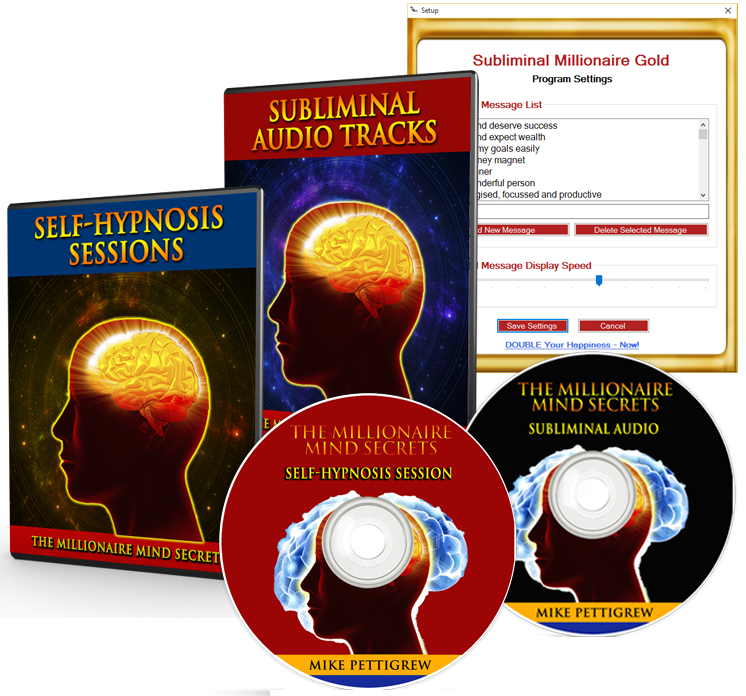 Did you know there is a part of your mind that dictates whether you will experience success, happiness and wealth, or poverty, loss and failure? I know how this may sound, but no matter how hard you may try to achieve great things in your life, there is a part of your mind that can sabotage all your efforts. And if you don’t do something about it, it will do it’s utmost to keep your life small and powerless. On the other hand, when you learn how to take control of it, amazing things can start happening in your life, and very quickly too! 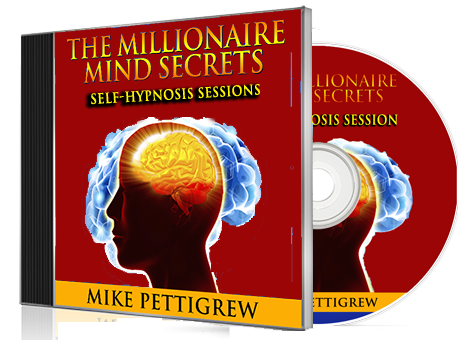 Mike Petigrew is a hugely respected authority in self-empowerment and in his new program “The Millionaire Mind Secrets” he is sharing his formula for becoming a true success. Some years ago Mike lost everything and couldn’t even feed his wife or their new born baby. But after discovering 7 astonishing secrets, he quickly turned everything around and became a success. He’s now a best selling author and has been interviewed on TV and Radio over 100 times and he teaches ordinary people how to finally break free and achieve the life they have always yearned for. 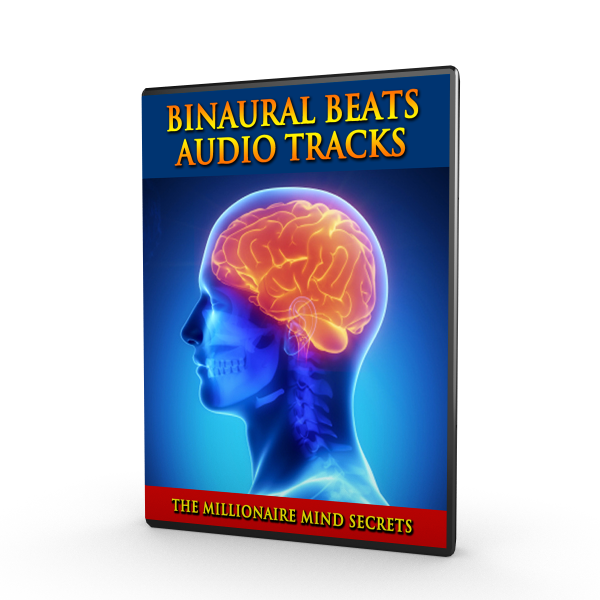 This is a really exciting new program that promises to transform your life in wonderful new ways. Subject Line: Can Your Mind Really Affect What Happens to You? For thousands of years, in the Far East it has been believed that our dominant thoughts and emotions actually create the circumstances of our lives. If this is true, then it means that when we start to think and use our emotions in a certain way, we can create all sorts of riches in our life. But the problem is that most of us allow our mind to run rampant and create lots of stuff that we definitely don’t want to happen. 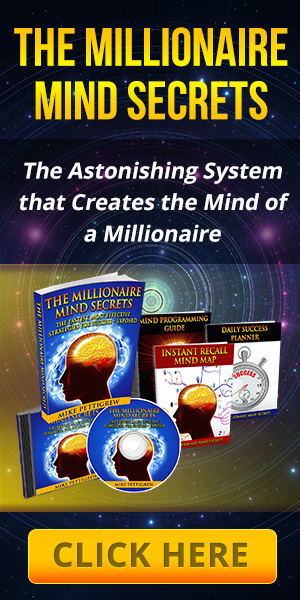 What if it were easy to use our mind to attract success, happiness and wealth? What if there really were secrets that highly successful people use to create everything they desire? 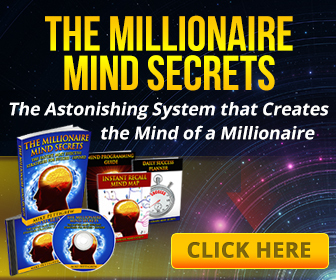 Bestselling author and motivational speaker Mike Pettigrew has released an exciting new program called The Millionaire Mind Secrets in which he reveals these 7 secrets for the very first time. Several years ago Mike lost everything and had no money to feed his wife or their baby. But then he discovered something amazing in 2 old manuscripts that totally changed his life. 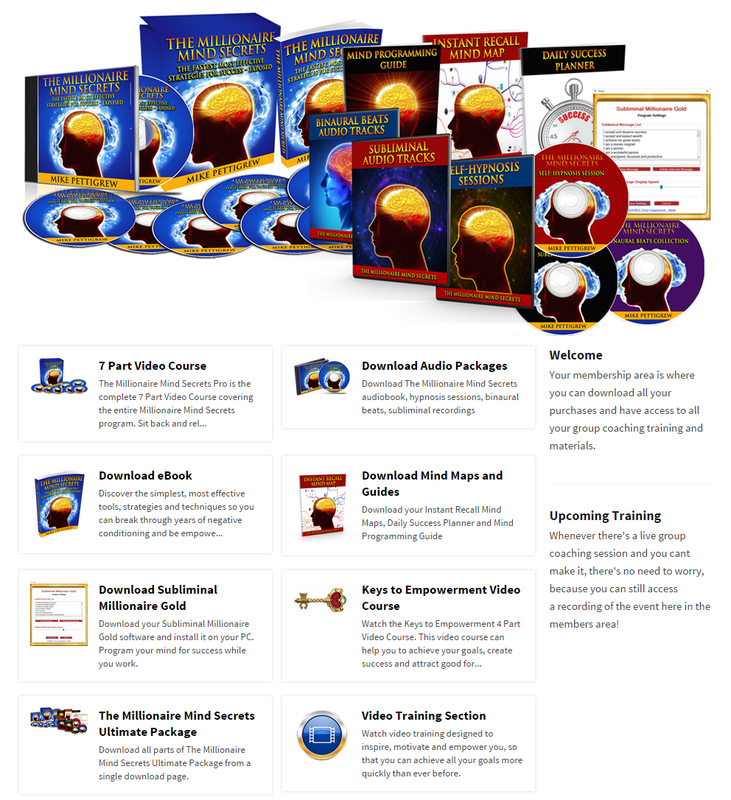 This is an exciting new program that promises to transform your life in wonderful new ways, so you can live the life you have always yearned for. Did you know that there are several important secrets that were not included in the book and movie The Secret? It really is true, the most important parts of The Secret were left out! 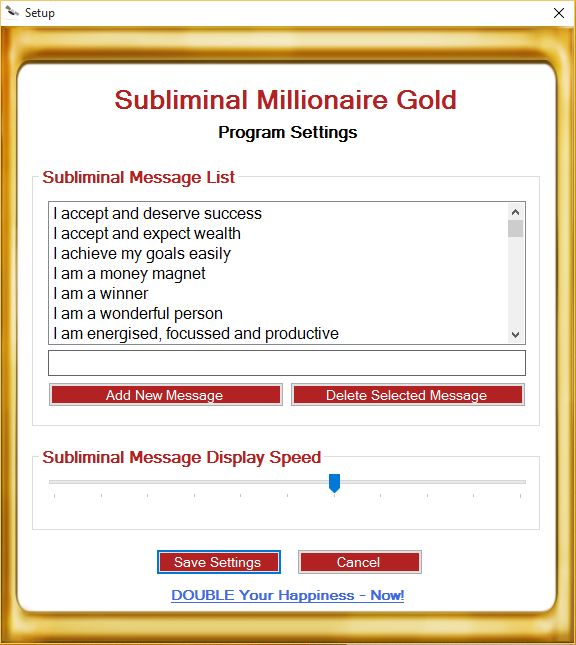 And without these its just not possible to use the Law of Attraction correctly. So, if you liked The Secret but found that it didn’t really work for you, then its probably because you were only given part of the equation. You see there is a part of your mind that dictates whether you will experience success, happiness and wealth, or poverty, loss and failure. And when you learn how to take control of it, amazing things can start happening in your life. What if it were easy to use your mind to attract success, happiness and wealth? What if you could discover the “hidden secrets” used by all highly successful people? 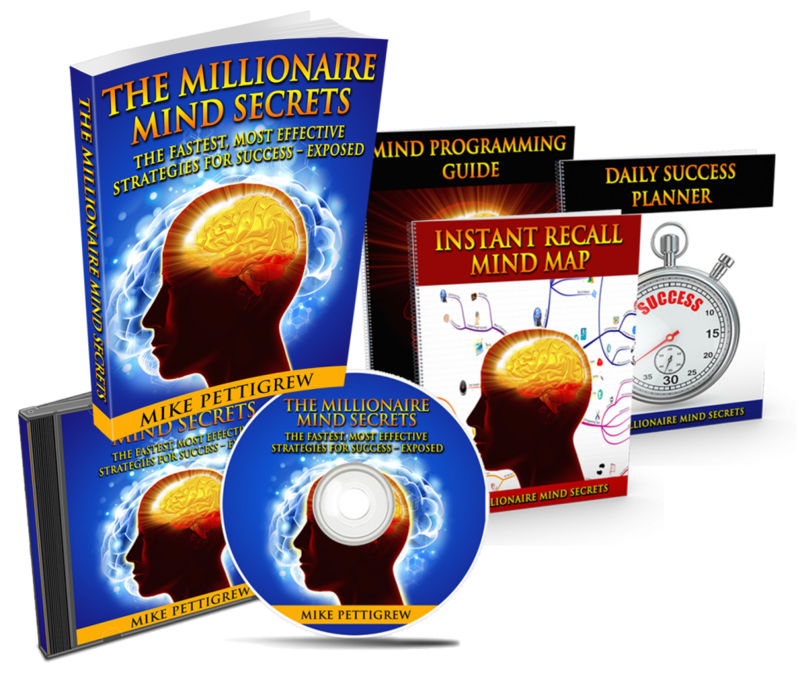 Bestselling author and motivational speaker Mike Pettigrew has released an exciting new program called The Millionaire Mind Secrets in which he reveals “the missing secrets” for the very first time. But then he discovered something amazing in 3 old manuscripts that totally changed his life. This is an exciting new program that can help you to transform your life in wonderful new ways, so you can live the life you have always yearned for. Growing up, I had very little self-confidence. As a kid I suffered from asthma and this prevented me from being any good at sports. Nobody wanted me on their football or rugby team, because I was pretty awful at sports. If I ran 100 yards I would be wheezing and fighting for breath. There were all sorts of limitations put on what I could and could not do by my asthma. Because nobody ever wanted me on their team, I started believing I was useless at everything. Gradually, as I grew older and moved into business, I slowly but surely started to see that I had far more ability than I ever thought possible. Gradually I became good things, and gradually I started to see the fruits of my efforts. Over time, I developed a lot of self-confidence and I became a very positive thinker. Confidence can be a little bit like a snowball rolling down a hill. As you start to see that you are very good at things, and you start to see the results of your actions, then it can give you even greater confidence to set even bigger goals. As Henry Ford once said “whether you believe you can or believe you can’t you are right”. This really applies to everything we set out to achieve in life. Belief in our own abilities determines everything. If we don’t believe that we can achieve something, then despite all our efforts we can usually be prevented from achieving it. You see, over time and through lots of difficult experiences we can gradually build up all sorts of negative beliefs about what is possible and is not possible for us. It is this accumulation of subconscious beliefs that actually controls what we can achieve in our life. If it’s true that hardship, disappointments and big challenges can gradually close us down to innumerable possibilities in life, then it’s really important that we learn how to overcome these subconscious beliefs. When we start to stretch our realm of possibilities by setting goals for ourselves and achieving them, we gradually start to become more positive, and develop more self-confidence and belief in what we can achieve. But even if we become abundantly positive and confident, as I managed to do many years ago, positivity can still be swept away through challenging experiences. It is true to say that we never reach a plateau where we are full of confidence and positivity, or that we will never be shaken from that state. It is the truth to say that within all of us is positive and negative. Light and dark. Wisdom and disillusion. Depending on how we manage our own minds, and the experiences that we go through, will determine whether positivity or negativity will dominate our lives. Several years ago, I went from being very positive to becoming quite negative, and this happened as a result of extreme hardship. Having gone from a teenager who believed that they could not do anything, gradually to becoming very optimistic and positive and confident, my positivity was all swept away and very quickly. Having been very successful in business, I made the mistake of trusting the wrong people, and making the wrong investments. Over a short period of time I went from being a millionaire to losing every cent in my entire world. When you reach the stage where you don’t have any money to feed your wife or new-born baby son, then it can be incredibly fighting. This is exactly what happened to me, and when you are losing vast amounts of money every single week it is very hard to remain positive and optimistic. I definitely went from being positive to being negative, and expecting the worst. So as I said a moment ago in life we don’t reach a fixed stage where we never regress. Everything depends on the degree of control we have over our mind and how we face our most difficult experiences. Within every great hardship lies the seed of enormous growth and benefit, even if we do not see this at the time. It took me some time before I started to see the value in this incredibly painful and frightening experience. Because my thoughts had become predominantly negative, and I was expecting more and more difficulty, that’s exactly what I experienced. I experienced more of the same. My subconscious mind became dominated by fear, uncertainty and I constantly listened to my negative inner voice that kept telling me that I was useless, and that I’d lost my abilities, and that I really would not be able to change my circumstances again. Then when you experience so many different challenges that reaffirm to you that your negative beliefs are true, then there is even greater momentum towards suffering and pain and fear and more negative experiences. This can be a vicious circle and it can be extremely difficult to transform unless you know what to do in order to change it. We all have positive and negative within us. Likewise, most of us give in to our own inner negativity most of the time. It’s because most people give in to their own limitations that they may not achieve anything remarkable during their lifetime. However, the fact is you really are capable of incredible things providing you adopt the right mind-set, and make constant, consistent efforts towards changing your circumstances. A great man once said “strive to become the master of your mind, rather than letting your mind master you”. Unfortunately, most of us allow our minds to run rampant and control us totally. But it is possible to take back that control, and to weaken the effect that your negative thoughts and feelings have over you and what happens to you. For me the crucial turning point came when I rediscovered the incredibly transformative power of gratitude. By bringing up gratitude every 30 minutes of the day, I gradually started to reprogram my mind towards positivity and expecting positive changes in the future. The effect was incredible. Within only a few days I started to see coincidences or synchronicities starting to appear again. Although the entire situation took time to change completely, positive change began the moment I started to use the power of gratitude to transform everything. Gratitude really does have this power. At any moment of our lives we are expressing to some extent either gratitude or complaint. Appreciation or blame. If our tendency is to complain, then this keeps us locked into a negative pattern of loss, where we experience loss instead of gain. On the other hand, when you start to reprogram your life with gratitude and begin to appreciate even the smallest things in your life, then your gratitude becomes a powerful magnet that will draw into your life all sorts of wonderful benefits and happiness. Gratitude is your powerful and transformative happiness magnet! 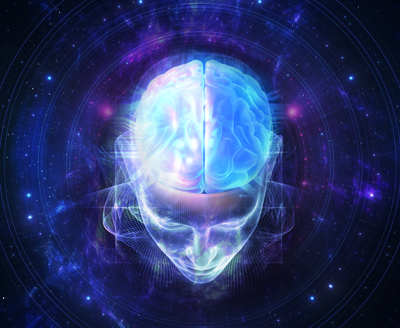 Even though your thoughts and feelings really do have an effect on your environment, and draw into your life all sorts of experiences based on your dominant thoughts and feelings this also works on a physical level in your own body. Scientists have observed that when we feel anger or other negative emotions, then all sorts of toxic chemicals are released into our bloodstream that actually affects our health and our brain itself. You really can think and feel your way into becoming ill, and into an experience where your brain and your mind operates at a far lower threshold. It’s even possible to think in such a way where you become less intelligent. The expression “if you don’t use it, you lose it” is so true. On the other hand, by adopting a far more positive mind-set, and taking actions based on those positive thoughts and feelings, you will release into your bloodstream chemicals that are beneficial to your body. It’s also possible to increase your intelligence greatly, when you continually put your brain to task. So, if you have ever found yourself in a vicious circle of negative thoughts and feelings and reactions, then you can change everything by learning how to reprogram your thoughts and feelings. 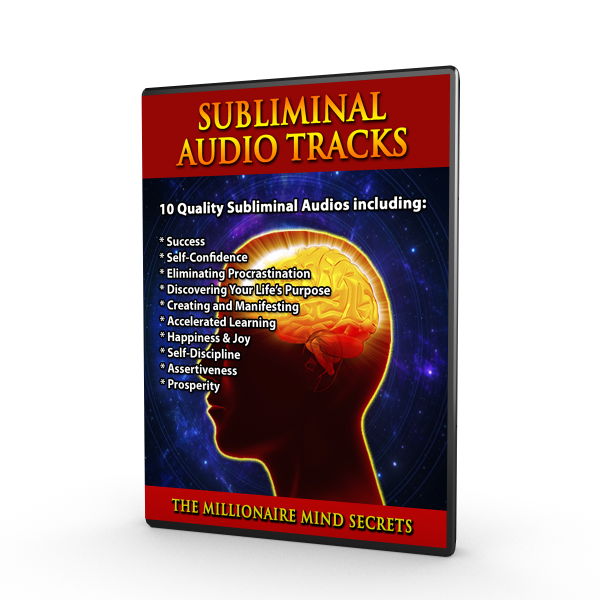 I go into this in great depth in my training programme The Millionaire Mind Secrets. 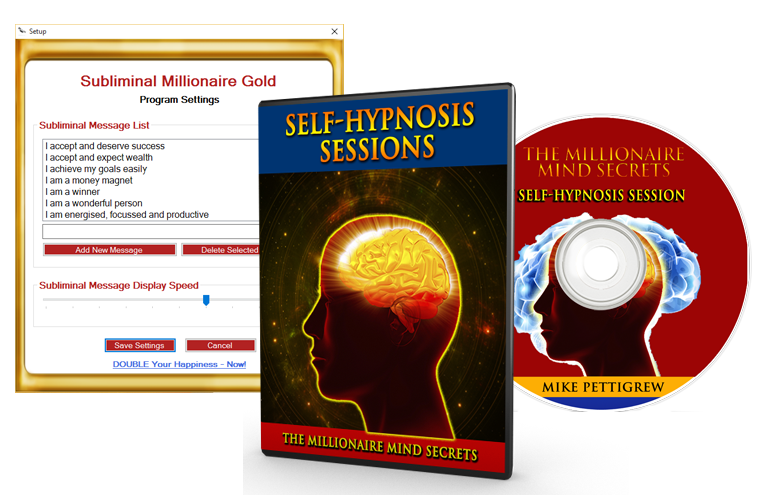 This program can completely transform your circumstances, and enable you to achieve all your goals in life. A long time ago I learnt the harsh reality of this through a very challenging and frightening experience. It was back in the early 1990s and just a few years after I had started my first real business venture. We supplied tropical plants to offices and banks, hotels and restaurants in Ireland. I managed to grow the business very well, but I was always struggling financially. It was a constant rollercoaster where I had money, and then very quickly it would all be gone. So to be honest I was really disheartened to be in this situation all the time. So one day I made a very big determination – or rather I made a 100% commitment or vow to the universe. I promised that I would completely transform my financial situation very quickly so that I would be able to free up my own personal time so that I could make a difference in society by doing various types of voluntary work. Now, it’s quite amazing what happens when you make a commitment to something with your whole being. Within a couple of weeks I encountered what appeared to be complete and utter financial disaster. My small business owed its suppliers far more than I had expected, and the amount of money that was coming in the next month was far less than I had expected. I really was incredibly worried because there simply seemed to be no way out. Now I have always hated letting people down, and not being able to pay suppliers on time was a really big thing for me. Money was so scarce; I didn’t even know how I was going to survive for the next week. But you know what? Sometimes things need to get really tough for us in life, before we can make a really big change. Now, it’s no coincidence that this started happening to me. It was a direct and immediate response to the commitment I had made to transforming my financial circumstances once and for all. The reason why I had made such a big commitment was so that I could free up my time and start doing some voluntary work – so that I could start giving back to society. Anyway, this frightening experience forced me to look at what turned out to be the heart of the matter. And this was my own self worth. You see, I always felt very guilty about asking my customers to pay on time. Also, I charged far less than most of my competitors did. So I realised, that if my business was to survive I had to double our prices to every single one of our clients. I actually expected to lose more than half of them. But even if that happened, I would still be in a far better off situation. Now amazingly, every single one of my clients agreed to the massive price increase. In fact many of them told me that they felt our rates were far too low! The simply wonderful effect was to instantly double our profits. But you know what? Everything boiled down to me not valuing my time, my expertise, or my energy. This is why I charged such ridiculously low prices, and had such fear and guilt over asking for payment on time. I also had some other experiences around this same time that was constantly pointing at the need to improve my own self worth. I actually had a far too casual attitude towards money. In fact I felt a bit guilty about earning money. But what is money? Money is simply an exchange we make for our time and expertise. If we don’t value our own time or our expertise, then this affects us in so many different ways. In fact I had such a bad attitude towards money and the value of my own time that I was buying all these CDs every week; albums that I never really listened to. Every week I would go out and buy two or three more CDs – which was crazy! So what happened as a result? I went over to the UK for a weekend to attend a seminar and when I returned home my CD player and all my CDs had been stolen. So what did I do? I went out and bought a new CD player and replaced all the CDs. Now I was living in a rented house at the time, and wasn’t insured; so this all came out of my own pocket, or rather the pocket of my business. Then a few weeks later I went over to the UK again, and yet again when I came home all my replacement CDs and my even newer CD player had all been stolen once again. So this led me to really start questioning why would such an event happen to me twice? What was the underlying reason for this repeated event? You see when something happens more than once there is always a very good reason why it happens. So, as well as the other experiences that I was going through, I started to see a very clear pattern emerging. I started to realise how my attitude towards money and how I valued myself really had to change and had to change very quickly. Also, a lot of people used to ask me for favours all the time, but would never return any favours. In fact I was being run ragged doing things for people most evenings without any regard for my own personal needs. One of my neighbours start to notice this and told me that I just had to stop helping everyone and that I should really take better care of myself and my own personal needs. Anyway, it was very clear with all these events that I really needed to start cherishing my own life a lot more. I needed to really value my time and my energy and start saying no to people, unless I was fundamentally helping their life in some meaningful way. And most of the time this was certainly was not the case – people were just asked me for favours because they knew I would always say yes! Now, I do realise that this is a very common experience for many people. It’s so easy to denigrate ourselves and not truly value our lives and the difference we make in our environment. But you know what? Learning to say no to people (unless of course they really do need our help in some way that makes a real difference to their life). Learning to say no can be one of the most wonderful things we can ever learn in life. This is because when we start accepting ourselves, and then go on to start treasuring ourselves, we become empowered. So long as we are not valuing our time and energy we remain disempowered and this can have very negative effects; not only on our finances, but in every area of our life. How much we value our self and our time and energy and all the unique qualities that we possess, can have a profound affect on our earning potential. Now, I know a lot of people who believe themselves to be very spiritual. And often spiritual people believe that money is evil and that they don’t need money and that everything will be fine without any money. But, this is really nonsense! Money is a measure of the time and the value or contribution we have made to society. It is very difficult to make a really significant difference in the world if you are struggling financially all of the time. If you spend all your time struggling just to survive, there is very little left of you to make a difference in the world around you. I’m firmly convinced that we live in a world that is rich and abundant, and we deserve to have all our needs met. And when we have all that we need, then we have more time and energy and financial resources to contribute to our society. How we think and how we feel determines everything that happens to us in life. If we wish to feel worthless or seeped in guilt or that were not important, then that is our choice. The result will be a life of lack, a life of struggle, a life of disillusionment and disempowerment. And when we allow such negative thoughts and feelings to dominate and erode our life then our life remains very small and we are unhappy. On the other hand, when we start to treasure our lives we automatically start treasuring those around us much more too. When we value our time and energy and our experience, then we can earn more, have all our needs met, and we have the time and energy to make a difference in the lives of those around us. 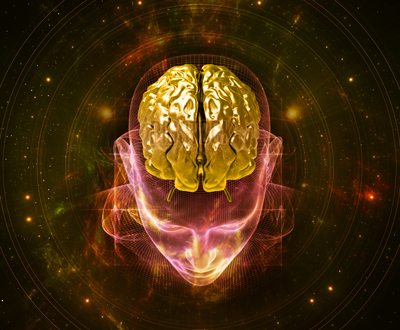 Did you know that you can tap into your own inner creative genius whenever you wish? You have an amazing creative genius inside your own mind and you can use it to improve every area of your life whenever you wish. Often people believe that they have to wait for inspiration to arrive before they can create something really outstanding. However, this is not true and it is possible to get your creative juices flowing at will, whenever we wish. I learnt this myself many years ago when I started composing music. I did everything with a keyboard connected to a computer and even though my piano skills are pretty abysmal, I was able to produce some pretty good music. However to do this, I would play something really badly on the keyboard and then spent ages getting it right on the computer screen; moving around notes and getting the timing right. It took a long time, but was great fun and I loved producing music. Often I would be driving along the road and music would come to my mind, and I would immediately sing the notes into a recording device. Then later on when in front of my computer, I would start creating the music that had come to my mind while driving. But here’s something interesting that I discovered. Often I would sit down in front of my keyboard and computer and there would be no music in my mind. But just by fooling around on the keyboard, my creativity started to be stimulated. And I created some of my best compositions at times when I didn’t feel inspired or at all creative. Now, this was back in the early 1990s, and it taught me a really important lesson. That lesson is that we can intentionally kick-start our creativity whenever we wish, and that our best creations don’t always come spontaneously in blinding flashes of inspiration. But this doesn’t just apply to music, this process holds true no matter what we are hoping to create or change in our life. If we are a writer, we really don’t need to give in to such things as writer’s block. If we take the right actions, and do the right things then it is possible to kick-start creativity and move forwards very quickly, and start creating great material without any difficulty. One thing I noticed back then, when I was composing a lot of music, was that we all possess a creativity muscle that we must exercise, in order to be able to tap into our creativity quickly and easily, whenever we wish. However, just like when exercising the physical body, it can take time and effort before the process becomes really easy. But, with regular effort the process absolutely will become easy for you. 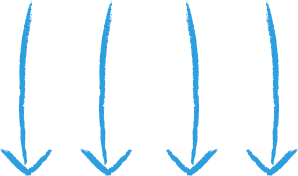 There is a very simple exercise you can do that should illustrate very clearly what I’m saying. When you put your mind to task, then your mind starts working for you. If you do not regularly put your mind to task, then very little changes from day to day, and things just go on the way they are always have gone. 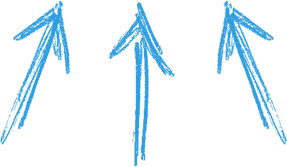 What I’m about to describe may at first appear quite challenging, but if you do these exercises you will be astounded by all the amazing ideas that you will develop. You really can become an ideas machine! You see, every goal that you set, and every aspect of your life that you wish to change always starts with an idea. So doesn’t it make sense that you learn how to tap into wonderful ideas that can enable you to transform your life and achieve all of your dreams? I certainly believe so. Wouldn’t it be amazing if you could tap into your mind and come up with all sorts of really useful ideas whenever you want? Well this really is possible and is far easier than you may think. When you come up with great ideas, you can take action on those ideas, and gradually you will start to see results in the world around you. It is true to say that we can work very hard and still not see great results. However, when you have amazing ideas that are backed with excitement and determination, all sorts of wonderful things become possible for you. To get your creative mind operating efficiently like a well-oiled machine; at first you need to start squeezing out of your mind ideas that can improve your life in various different ways. At first it may take quite some effort, but if your are persistent in this you will quickly become very proficient at tapping into your creativity whenever you wish and creating all sorts of amazing possibilities for yourself. It would be a great idea to do one of these creativity exercises each day for at least a week before you start to see the amazing unlimited creative power that lies within you, and which you can tap into at will. On day 1 write out a list of 10 things that you could do to express your gratitude to others. These should be things you can actually do that will show your appreciation of those who have helped you in any way. On day two write out a list of 10 things that you could do to improve your physical health. These can be anything that you could do in order to become healthier. On the third day write down 10 ways in which you could improve your emotional health. These will be things that can contribute to your overall well-being and happiness. It’s important to include ideas that can help other people in meaningful ways. This is because our own happiness is directly connected to the efforts we make boards the happiness of those around us. In these exercises you don’t have to stop at 10 ideas. If ideas are starting to come tumbling out of you then please keep going! 15 or 20 ideas is a lot better than 10 and the more you do this the more you exercise your creativity muscles and it becomes a resource you can tap into whenever you need. We have all used apps on our smartphones and most of us have a good idea of what sort of apps are available in the app stores. So, your next exercise is to come up with 10 ideas for smart phone apps. Write down 10 ideas for apps. It doesn’t matter if you later find that some of these apps already exist, but just start writing and see what happens. Some your ideas may not be great at all, while others may surprise you! And an app is something that simply makes people’s lives better or easier and helps them in some way. 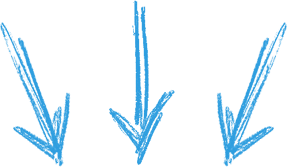 Most people find that coming of the first few apps is easier than coming up with the last few of the 10. So, go and look at the App Store on your phone to see what sort of apps people are producing. Then come up with 10 of your own. On day five come up with 10 things you could do to add more fun and enjoyment in your life. These should be things that you can start doing easily and which you could put into practice right away. Many of us move through life each day on autopilot, simply reacting to what happens to us. But, when we take stock of what we are doing, and what we could be doing, it allows us to bring a lot more excitement and variety into our lives. On day six, write down a list of 10 places that you would love to visit in the next 10 years. On day seven of this exercise, write down a list of the three biggest problems in your life right now. Once you’ve done this, write down at least 4 things that you could do to overcome each of these problems. Now at the end of just one week you will probably be very surprised by your ability to come up with creative ideas whenever you wish. By writing down your ideas like this and by doing this frequently you will keep your creativity muscles exercised and in great shape. This will allow you to tap into your creativity whenever you wish and use it to create all sorts of wonderful things for your life. So remember to keep a special notebook for all your creative ideas and don’t worry if some of them are nuts! Because when you do this you will definitely have plenty of really good ideas too. Also, please don’t allow your internal editor to stop you – just keep the process flowing. What I mean by your internal editor is that part of yourself that tells you to delete the last sentence or the last idea because it isn’t good enough. Simply, let all your ideas flow without any restraint and then after the process has completed you can start editing if really necessary. Whatever it is that you wish to change or create in your life, everything starts with an idea. And the more great ideas you have, then the more you can transform your own life and your environment. Here is a final thought about this, for you to consider. If every person in the world were to spend just 1 hour each week coming up with ideas to improve their lives, then the world would be a very different place than it is right now. So, please do make a commitment to yourself right now, to set aside just one hour each week to do this for yourself. You will be amazed at how your life will transform! I know I’ve said this in several episodes before, but I honestly believe that the difference between a person who transforms society and someone who achieves very little during their lifetime is completely dependent on whether or not we manage to overcome this negative voice within us and do so continuously.